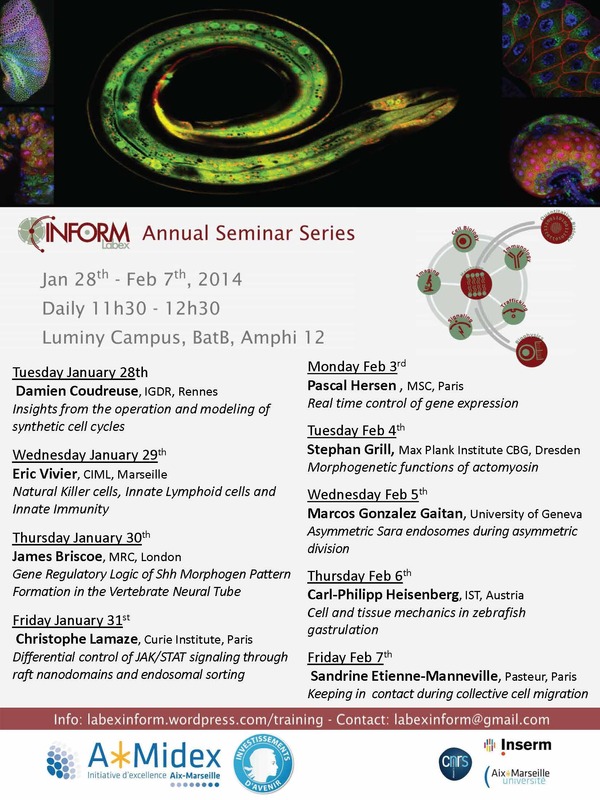 at 11h30am in Amphitheatre 12 on Luminy Campus (bat B). Topics will be quantitative and interdisciplinary approaches in the fields of cell biology, immunology, infectiology and development. Please find detailed program with seminar titles in attached document. ← Happy New Year 2014! 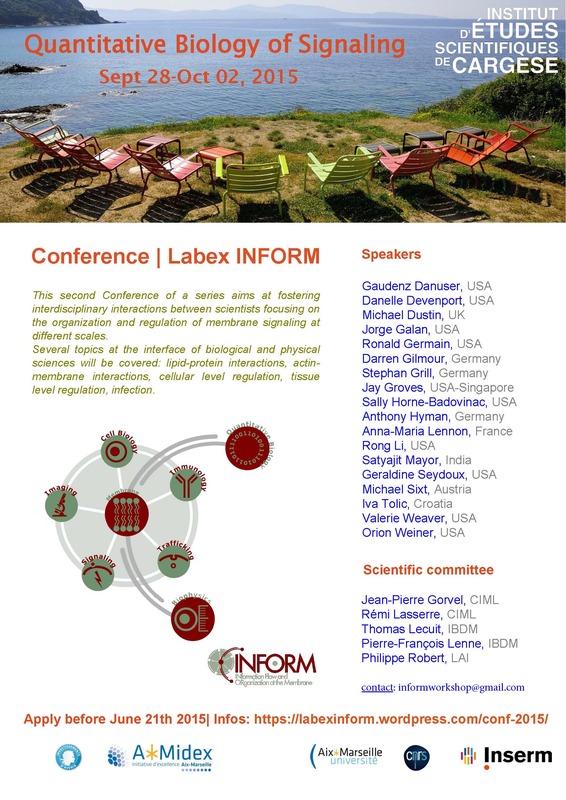 QBio 2015 – Registration dead line extended!